While the GMI remains at 6 (of 6) my most sensitive short term indicators have weakened, with the GMI-2 now down to 4 (of 8). We are likely in the post earnings release period when stocks weaken until we get close to the next quarter’s earnings release, in January. With the GMI at 6, the longer term up-trend remains intact. Meanwhile ONVO and the other two 3D stocks I follow swooned on Tuesday. ONVO fell almost 25% on its highest trading volume ever, an ominous sign of weakness. It also failed its green line break-out. 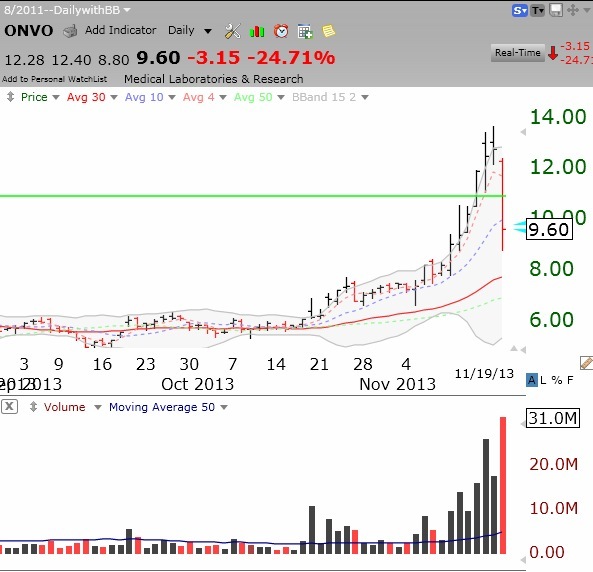 Below are the daily charts for ONVO, DDD and SSYS. 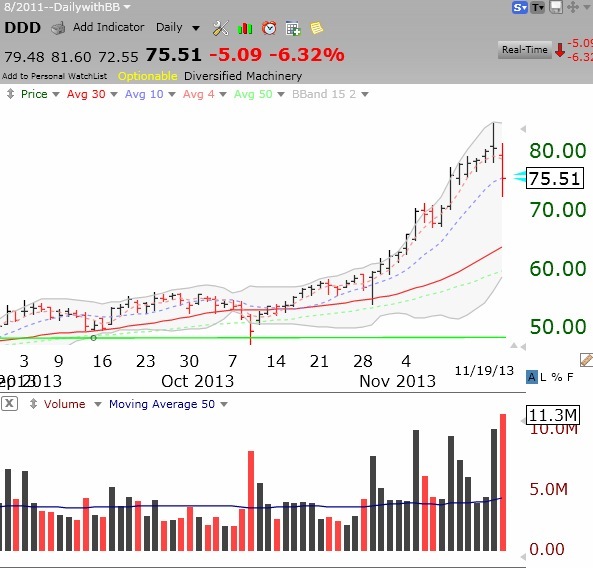 When a hot sector like 3D fails badly, it often foreshadows a decline in the greater market. I have become defensive and have greatly reduced my holdings in my trading accounts. 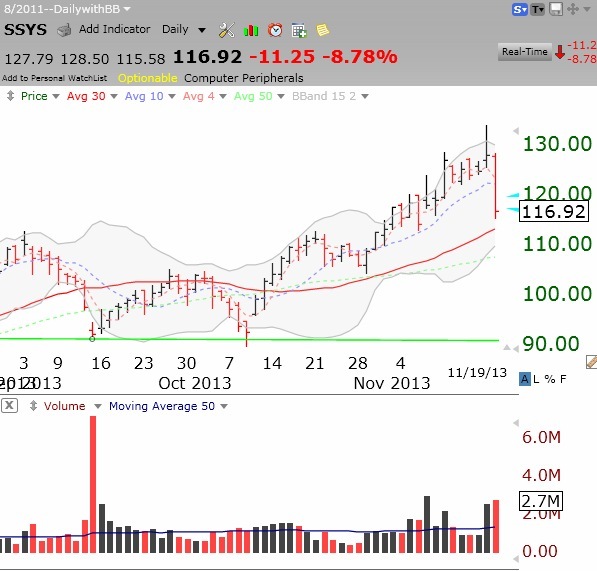 GMI falls to 5; Gold in Stage 4 downtrend; Is TSLA beginning one?